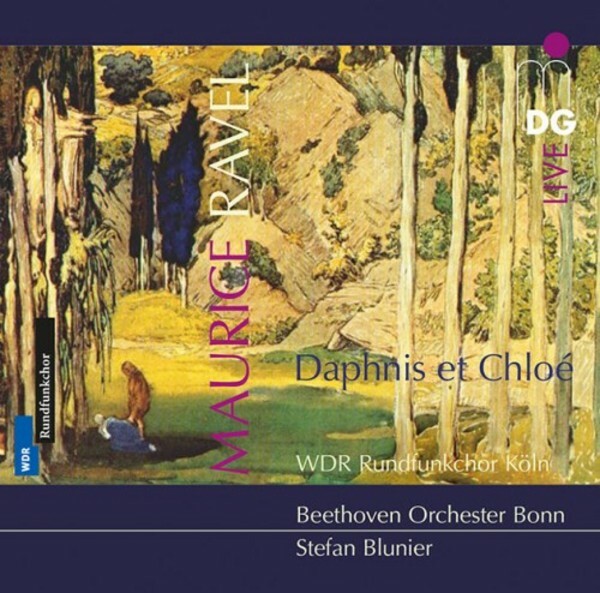 Ravel’s Daphnis et Chloé is “one of the most beautiful creations in the whole of French music” (Igor Stravinsky’s enthusiastic evaluation). The superb instrumental forces of Bonn’s Beethoven Orchestra have now dared to take on this gigantic score. Under its conductor, the general music director Stefan Blunier, the result offers impressive audio documentation of this rarely performed composition, displaying the marvellous features of this large-scale work in all their glory. This incomparable score has, of course, to be captured with the finest recording technique. The high-resolution Super Audio CD guarantees unclouded listening pleasure, which is conveyed in a very special way in this 3-D 2 2 2 production: Blunier’s Bonn interpretation can be experienced in incredible detail – and at the same time opulently and sonorously.